Skylanders and Disney Infinity Crossover? 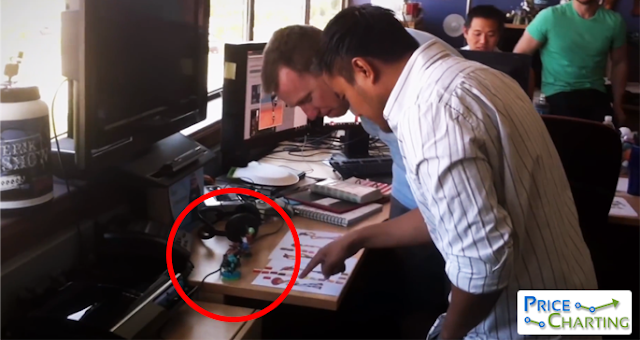 A recently uploaded video to Disney Infinity's official YouTube channel detailing the process of designing the figures, has an interesting little cameo in it. Clearly in view at 2:08 are three Skylander's figures: Spyro, Gill Grunt and Double Trouble! In case you missed it, I took a still of it. Now before you get too excited, I want to state that I believe a Skylanders and Disney Infinity crossover is NOT going to happen. For one, Disney isn't going to try and work with another title they have been trying to distance themselves from. In a recent interview, they told GamesIndustry International that, "saying Disney Infinity is [imitating] the Skylanders business is not a valid assessment at all." Another, more practical, reason why there will be no crossover is in the hardware. The bases of the figures are different and Skylanders figures simply won't fit on the Disney Infinity pedestal. Disney Infinity uses circular bases for figures and hexagonal bases for power discs. Skylanders figures have bases of all different shapes and sizes. Here is a comparison. I know, I was hoping for an amazing crossover but sadly all this video reveals is that Skylanders figures designs heavily influenced the designs of the Disney Infinity's figures. So I hope this quells some of the rumors out there and make sure to follow our regularly updated Skylanders Collector's List and Disney Infinity Collector's List.